Summary: “ Think before acting,” her father always warned. But Princess Guinevere is ruled by her heart. Her betrothal to King Arthur has not changed this. their young age, take risks and disobey their parents, while at the same time they reach out to help others and become heroes. A great way to entice readers, even reluctant ones, to follow the adventures found in legends. At the dawn of Camelot, one young girl is about to take her place beside the greatest king in England’s history.... She is a mere child of twelve. But in these medieval days, this is the age when childish things must be put away and greater responsibilities accepted—all in preparation for a betrothal of marriage. For young Lady Guinevere, on the advent of her thirteenth Birth Day, the whole idea is quite unbearable. After all, what could be better than spending her youth playing with her best friend Cedwyn, roaming the grounds around the castle looking for mythical creatures or hunting rabbits? However, the wizard Merlyn—her teacher and friend—knows that destiny has a way of catching up with a person. 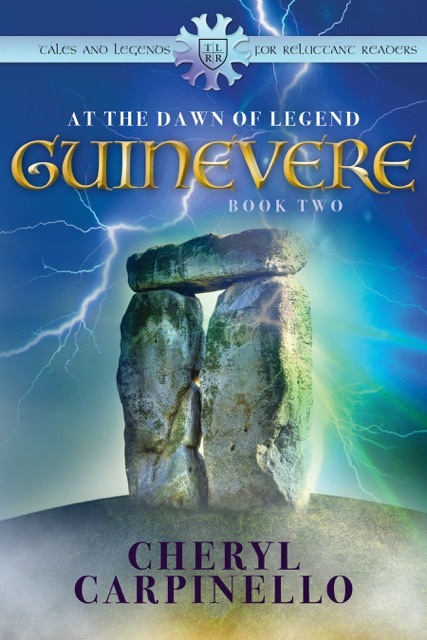 His arrival sets in motion a series of events that will lead Guinevere to her destiny whether she is ready for it or not. Great Sadness and Danger:With saddened and heavy hearts, they left the gruesome glen behind and rode for the castle. Samuel followed Guinevere, having chosen to ride beside Aaron. His tears dried, but the anguish not buried with his family. The grief was clearly evident in his hunched body, the anger in his clenched fists on the pony’s reins. Cedwyn worried about the boy’s state of mind. Guinevere now led the trio, concern for the safety of the castle and the people there were marked by the hard set of her chin. Worry etched lines in her wrinkled brow and deepened her hollowed eyes. Cedwyn brought up the rear. His eyes noted every movement. Ears tuned to the echoes of the forest, head swiveling ateach movement and sound. Fear had taken permanent hold over his body—a feeling he was certain should have been as foreign tohim asit would have been to Arthur’s knights. Cold fear tightened its grip on his heart and throat. Those who would kill the gentle monks would stop at nothing. Now the little group rode in the dark, a time when all earthly creatures took on the pallor of ghosts, and hidden danger lurked all around them. Prize: One winner will receive a $25 Amazon gift card or $25 PayPal cash prize, winner's choice Giveaway ends: August 7, 11:59 pm, 2017 Open to: Internationally How to enter: Please enter using the Rafflecopter widget below. Terms and Conditions: NO PURCHASE NECESSARY TO ENTER OR WIN. VOID WHERE PROHIBITED BY LAW. A winner will be randomly drawn through the Rafflecopter widget and will be contacted by email within 48 hours after the giveaway ends. The winner will then have 72 hours to respond. If the winner does not respond within 72 hours, a new draw will take place for a new winner. Odds of winning will vary depending on the number of eligible entries received. This contest is in no way sponsored, endorsed or administered by, or associated with Facebook. 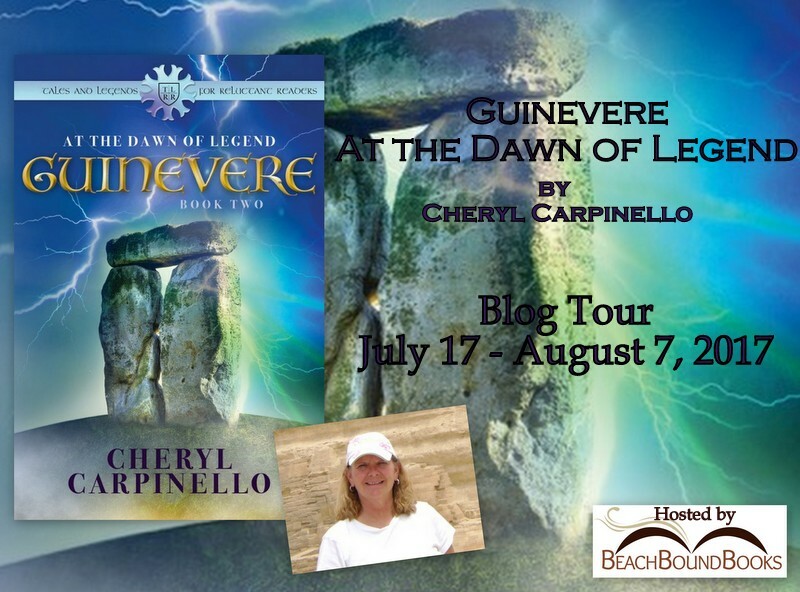 This giveaway is sponsored by the author, Cheryl Carpinello and is hosted and managed by Stacie from BeachBoundBooks. If you have any additional questions feel free to send an email to stacie@BeachBoundBooks.com.